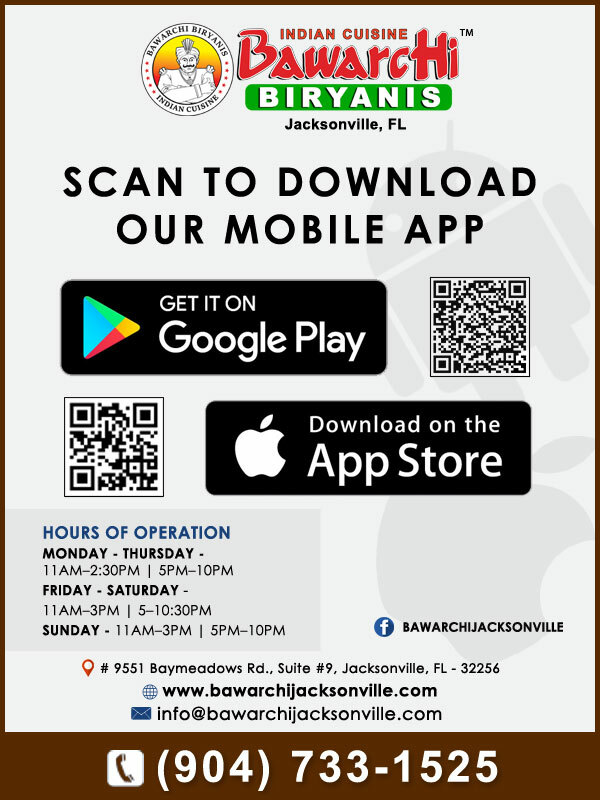 We are excited to announce the launch of Android and iOS mobile apps for Bawarchi Biryanis, an Indian Cuisine Restaurant in Jacksonville, FL. Download the apps by scanning the QR Code in the image on the left (or) download by clicking the links below. We are excited to announce we are open for business today 03/22/2017. Please come and visit us. Our menu is limited until our Grand Opening.